TEHRAN, November 18 - Saad Hariri, who unexpectedly resigned as Lebanon’s prime minister while in Saudi Arabia and was widely known to have been under restrictions there, has arrived in France. TEHRAN, Young Journalists Club (YJC) - Hariri and his wife, Lara, landed at Le Bourget Airport outside Paris on Saturday after flying in from the Saudi capital. 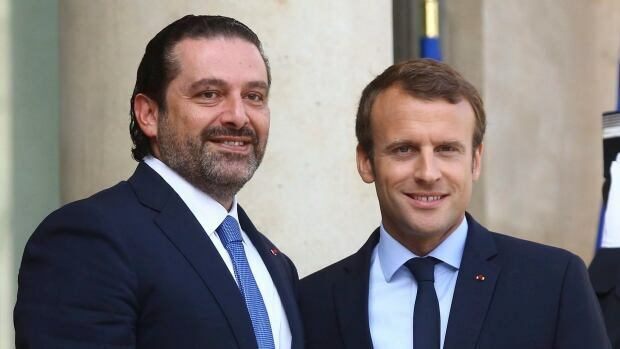 Hariri is set to hold talks with French President Emmanuel Macron, who had invited the Lebanese politician to the European country in an attempt to lower the tensions that erupted after Hariri’s abrupt resignation. The Lebanese politician’s elder son, Houssam, is also expected to arrive in Paris separately from London. “Hariri does not want to mix his children up in this affair,” the source added. But given all the accounts of how Hariri had been coerced into resigning by Saudi Arabia and had been held in effective detention there, analysts believe that Hariri’s children are held back in Saudi Arabia in order for Riyadh to maintain some form of leverage on the Lebanese politician. Senior sources close to Hariri and top Lebanese political and security officials said Saudi Arabia had coerced Hariri into stepping down and had put him under house arrest. Lebanese President Michel Aoun stressed that Hariri was living in “mysterious circumstances” in Riyadh, with his freedom being restricted in violation of international human rights regulations. President Aoun also refused to accept Hariri’s resignation, saying he had to return to Lebanon first and convince the president that his resignation had been voluntarily offered. “We will not accept (Hariri) remaining a hostage whose reason for detention we do not know,” Aoun said. Separately on Saturday, Hariri called Aoun and said he would be in Lebanon for the country’s Independence Day on Wednesday. While reports had said earlier that Hariri would be in Beirut to make his resignation official, newer reports made no mention of whether he did plan to resign in Beirut or not. Hariri himself has not spoken about that topic, either.